OWING to our varied circumstances and experiences, there are contradictory tendencies to either exaggerate or underestimate the power and importance of artificial intelligence (AI) in society. Nor should we uncritically legitimise everything AI can be used for, even if it has been hailed as the main frontier of the Davos-proclaimed Fourth Industrial Revolution. AI, more than other elements of Industry 4.0, is transforming humanity’s understanding of ourselves in novel ways the world has neither experienced nor conceived. The AI market is already huge, but still growing fast. The expertise needed is said to be growing “exponentially”. In fact, many enterprises seem to be struggling to meet this fast growing demand for expertise with the needed capabilities. AI’s role is already significant, but it is still transforming many painstakingly slow processes in diverse fields, typically displacing manual as well as skilled labour. For example, precision agriculture uses equipment to supply water and plant nutrients as well as to measure plant growth, eliminate pests, including weeds and cater to the needs of individual plants. Driverless cars are at very advanced stages of testing in many jurisdictions, while AI is improving supply chains and logistics. AI-based equipment is being used to track criminals, assist police and solve crimes, while its military applications, including killing enemy targets, are already infamous, not least because of the collateral damage caused. AI applications in healthcare, elderly care and precision medicine and surgery are among some of the better-known applications. AI machines have the capacity to do many things more efficiently than humans and even perform tasks too dangerous or difficult for human beings. 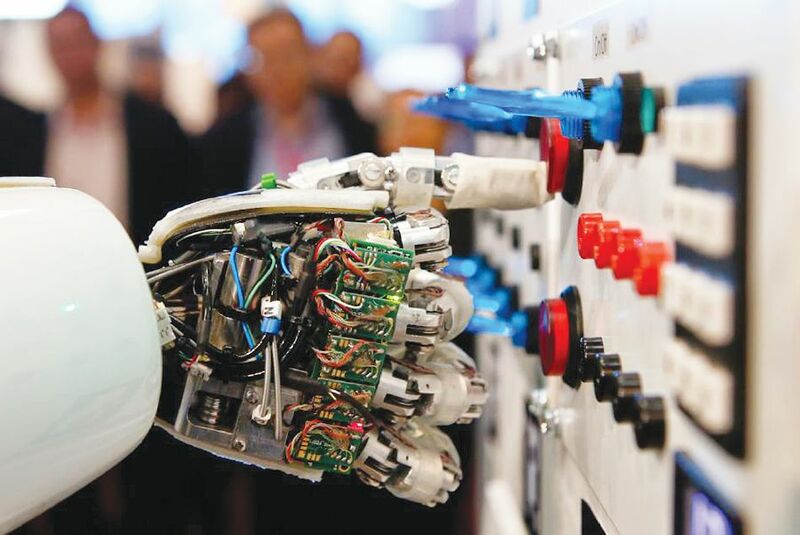 AI’s continued progress may displace many more workers very quickly as suggested by some scenarios, while others suggest that AI’s advent will enable us to devote more time to care work and creative endeavours. With so much conjecture, it is difficult to plan, or, for example, revise our educational curricula. For businesses involved with AI, established or start-ups, financial bottom lines are crucial although deep pockets and medium-term strategies may give start-ups longer leases. But to survive, beating the competition remains imperative, which often means being the biggest, the best and the most innovative to survive challenges from disruptive new technologies marginalising and displacing incumbents. Policymakers generally lag behind in regulating AI, especially in developing countries. Regulating what is little known or understood remains especially challenging. AI is not only to help us do things better, faster and more efficiently. We must recognise the multiple functions of AI to begin to understand its complexity. Legislation and industry regulations must keep up with changes. Jomo Kwame Sundaram is senior adviser with the Khazanah Research Institute. He was an economic professor and United Nations assistant secretary general for economic development. Rosli Omar was the first Malaysian to get a PhD in artificial intelligence and is now a nature photographer.